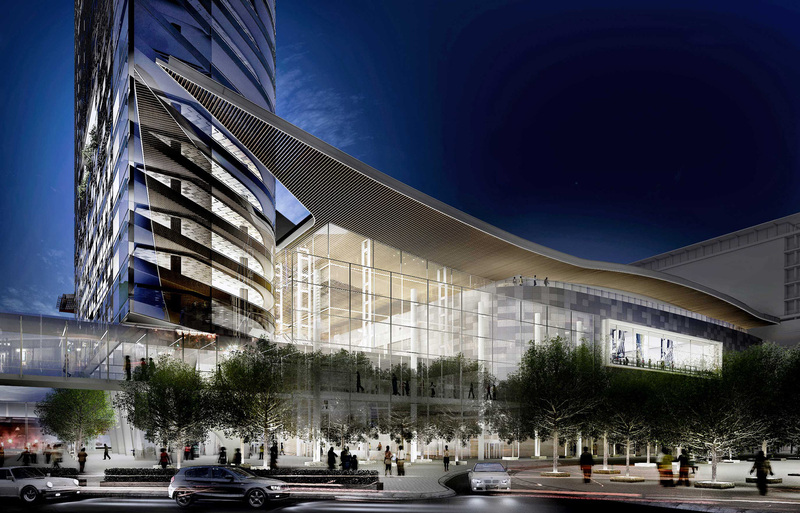 According to the announcement at the Annual General Meeting of the Cape Town International Convention Centre, the planned expansion will now go ahead, and the tender award will stand. 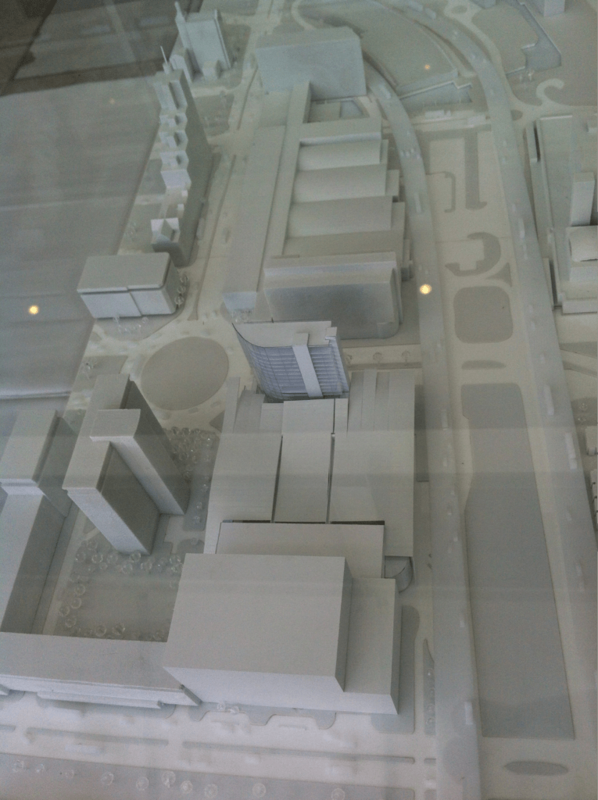 The expansion involves the construction of 9,600 sqm of additional exhibition space, meeting rooms, a proposed tower and a skybridge connecting the existing centre to the expansion. 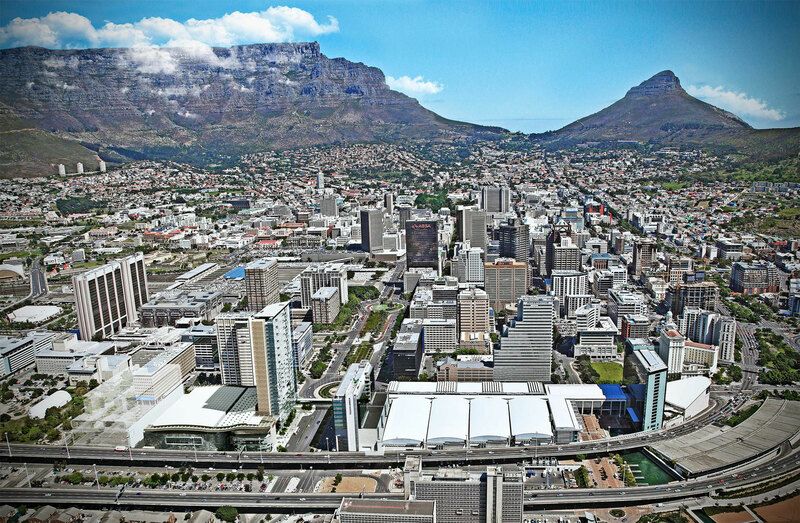 “We concur with the City’s finding that there was no corruption or collusion by any staff member or individual involved in the tender process, or by any of the bidders,” said outgoing CTICC chair Ashley Seymour. In reaching its conclusion, the board took into account the pertinent legal, financial and socio-economic implications, the public interest and the legal advice it received. The Cape Town International Convention Centre (CTICC) is a place where different worlds meet, where delegates gather to exchange ideas, where culture comes together. 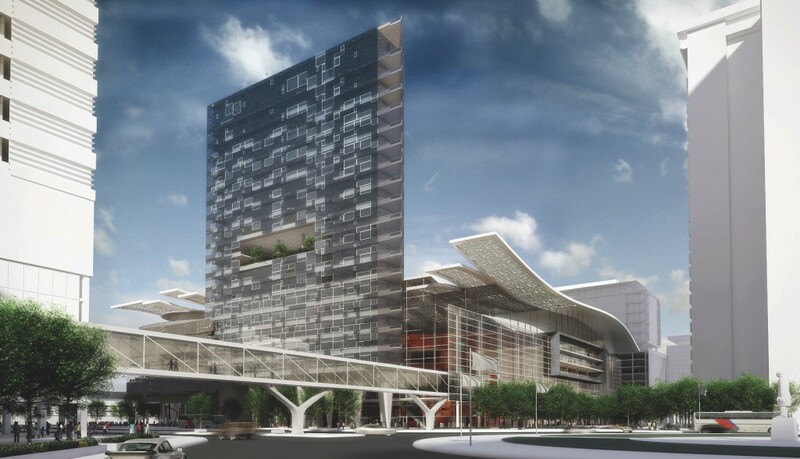 The architecture is a framework to not only serve the objectives and accommodation needs of CTICC but to also tell an enduring story, a narrative which is as unique and as special as our location, history, and being and which will make the CTICC Extension a memorable moment for all. 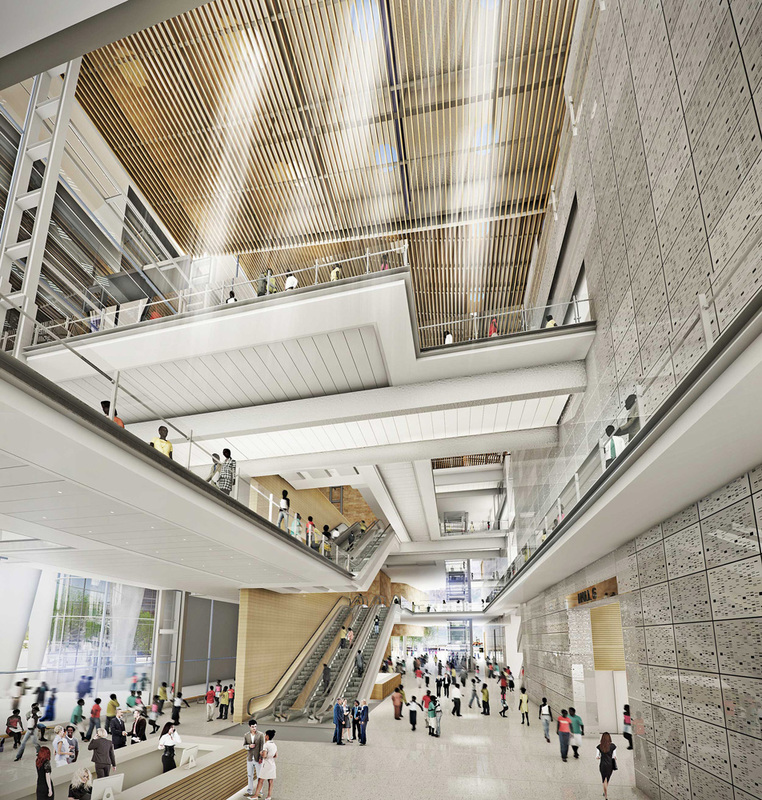 The extension is designed as a seamless extension to the existing CTICC to provide complementary space for large exhibitions or conferences, whilst also being able to operate as an independent facility. The architectural concept is entitled “6211”. This is a design interpretation of the globally unique biodiversity of the Cape Floristic Kingdom. 6210 panels will each be encoded with the unique genetic code of the endemic species of the Cape Floristic kingdom, an exceptionally unique biodiversity. These panels form dynamic ribbons of movement which speak to the “way-station and crossroad,” status of a convention center, as a place for the movement of ideas, goods, services, persons, light, sound, color and emotion. For every ten panels, one panel shall be dedicated to the DNA of homo sapiens to emphasize our relationship to and dependence on nature, to highlight the gravity of climate change and its Sub-Saharan threat to our water scarce and fragile biodiversity; and most significantly to engender respect for a humane environment. These panels, interspersed with a random pattern of 62 interactive and dynamic LED panels, will be used to trace and integrate the unique genetic code of delegates and citizens so that they become part of the architectural aesthetic and experience. These identitycodes (the DNA panels), will form an ongoing and evolving architectural artwork which both frames the main halls and public space, but in turn provide a unique window into the identity of Cape Town and the Western Cape. These panels shall also reflect (by voluntary participation,) the unique genetic codes of all South Africans who may visit CTICC2. The existing CTICC is defined by dramatic full height conservatories for nature and the Cape Floral Kingdoms, with its internal hanging gardens that frame the internal public realm. The CTICC Expansion and its sweeping ribbons of DNA is a 21st century interpretation of our unique floral attributes and resonates with this notion from CTICC1 by creating a pulsating wall of light, and color, patterned by our uniqueidentity. Exhibiting at African Utility Week 2013? Exhibiting at Africa Aerospace and Defence AAD Exhibition 2014?